As we all know, currently, the game entertainment industry is a very contradictory industry. The reason for the contradiction lies in its popularity and niche. Popularization means that its terminal consumers are the general public, while niche refers to that its target audiences are individual operators, amusement chain stores and other B-end consumers. This determines that it can't rely on the mass media to do casting net marketing propaganda. Although it may discover some potential customers, the effect is very small, so that those who do not have the desire to buy can only waste resources. Therefore, attending professional exhibitions and choosing corresponding professional media channels are the main publicity channels for the game and entertainment industry. Advertising is not just about publicizing widely, it's about letting people know. The 25th DEAL Show, the last international professional exhibition in March, has come to a close. 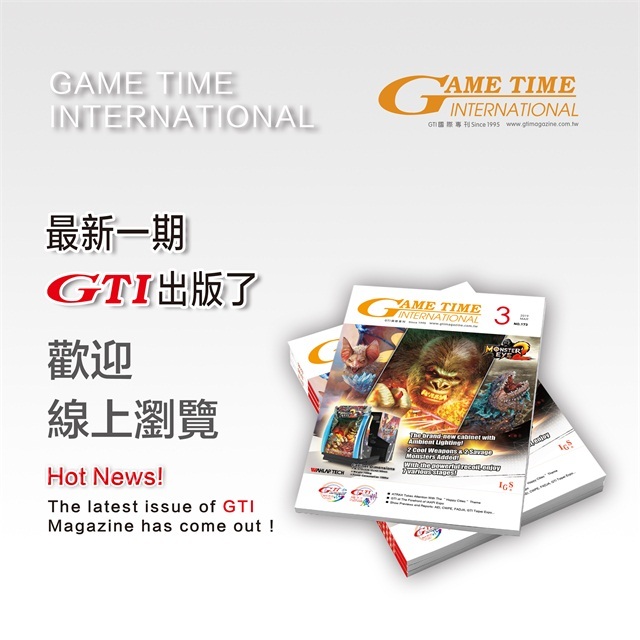 However, with GTI magazines and the good vision of assisting China-made amusement products to global, GTI team has traveled to each international amusement grand events around the world such as EAG Show in UK, ATRAX Expo in Turkey, RAAPA Expo in Russia, IAAPI Show in India and DEAL Expo in Dubai. No. 173 issue of GTI Magazine is available online or click to download the PDF file. This issue of GTI Magazine has wonderful coverage of ATRAX Expo and exclusive interview with the organizer, as well as water park news, latest industry trends and products and so on. We are preparing for the next issue, please follow up our website to get more information. You are one GTI magazine away from the game entertainment international market.